Enjoy premium looks without the premium price with the Acer NITRO Gaming notebook (model AN515-42), which features a beautiful exterior. It features a 15.6-inch high-def display giving you ample space for opening multiple windows and digital entertainment. It’s powered by Enjoy smooth multitasking and excellent performance with 8GB installed RAM and 1TB HDD AND AMD RadeonTM RX 560X with 4 GB of dedicated GDDR5 VRAM. Wireless in the AMD version is based on the Qualcomm Atheros 2×2 802.11ac adapter, and the laptop offers plenty of I/O with two USB 2.0 ports, one USB 3.0 port, and even a USB 3.1 Gen 1 Type-C port. The laptop also offers HDMI, and Ethernet. 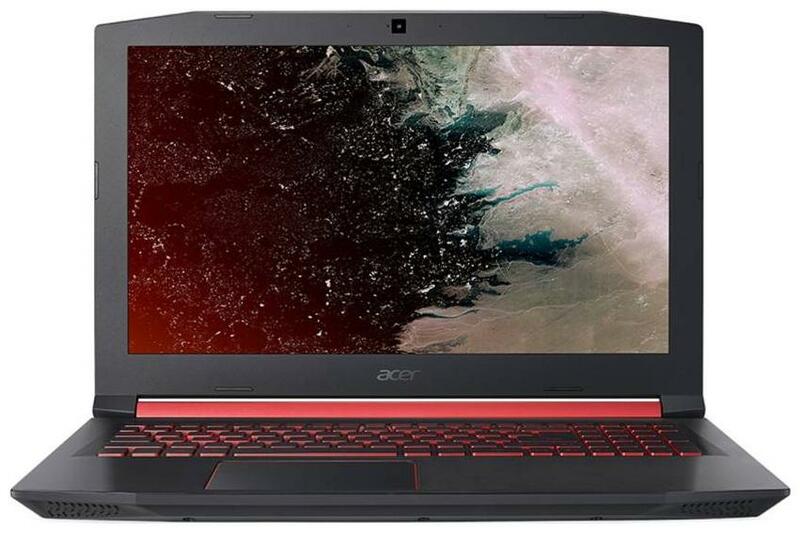 The Acer Nitro 5 AN515-42 (UN.Q3RSI.001) comes with a 15.6-inch Full HD LED Backlit IPS display with a screen resolution of 1,920 x 1,080 pixels. A webcam is provided for video recording and video calling. A touchpad with multi-touch gesture support and a FineTip Keyboard with Independent Standard Numeric Keypad are provided as input device. The Onyx coloured laptop weighs of around 2.7Kg. The Acer Nitro 5 AN515-42 (UN.Q3RSI.001) is powered by a 4 cell Li-ion battery is present that is capable to deliver backup of around 5 hours. The device offers a wide range of connectivity options such as one USB 3.0 slot, two USB 2.0 slots, a headphone jack, an SD card reader, Bluetooth v5.0, Wireless LAN 802.11 a/b/g/n/ac and a microphone jack. The Acer Nitro 5 AN515-42 (UN.Q3RSI.001) is powered by an AMD Ryzen 5 Quad Core 2500U processor which clocks at a speed of 2GHz. The processor is further coupled with an 8GB DDR4 RAM to deliver a quality performance. Moreover, the graphical needs of the system are taken care of by a 4GB AMD Radeon RX 560X GPU. As far as the storage is concerned, a 1TB SATA hard disk is present that revolves at a speed of 5,400RPM. It runs on Windows 10 Home Basic operating system floating on 64-bit architecture.